Head anatomy. Computer artwork of a cut-away of the skull, seen from behind, showing the brain. 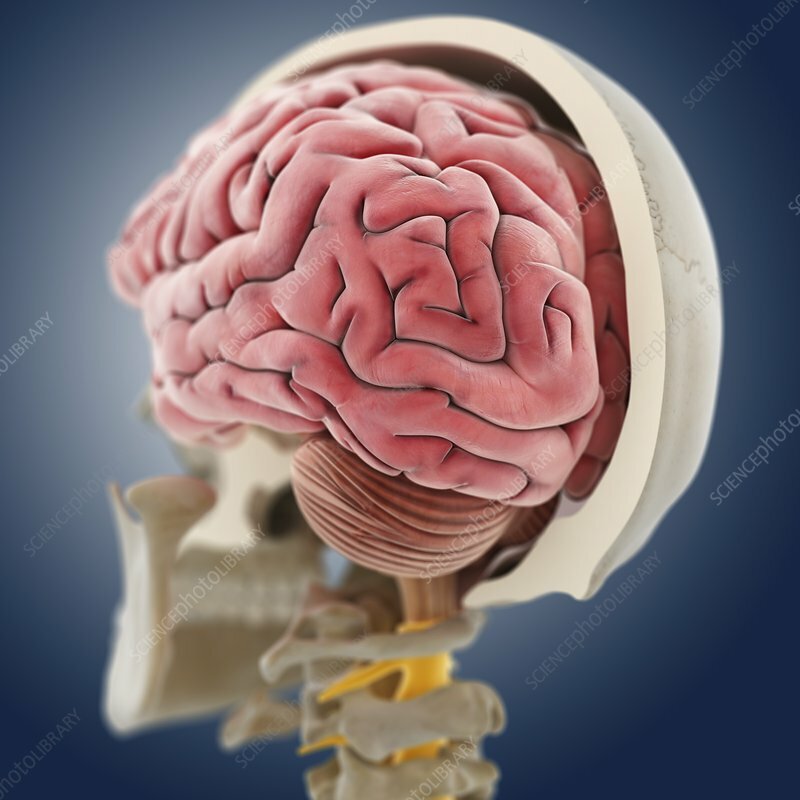 The striped structure at lower centre is the cerebellum, which controls muscle coordination and balance. The spinal cord is yellow.